Recently team members from Humane Pennsylvania were invited to join other animal welfare advocates, community leaders, and government officials at a reception hosted by Governor Tom Wolf in celebration of the one year anniversary of the signing of Act 10: Animal Abuse Statute Overhaul bill or more popularly known as – Libre’s Law. A year ago, in July 2017, an anonymous rescuer visited a farm in the Quarryville, PA and found a puppy in dire need of medical attention. The rescuer convinced the farmer to surrender the puppy. Saved from deplorable conditions, the courageous 7-week old pup was barely distinguishable and covered with skin irritations and maggots. The puppy was within hours of death, suffering from extreme neglect and struggling to survive. Following extensive medical care, the puppy was treated and began to recover from his ordeal. Janine Guido, from Speranza Animal Rescue, named him Libre — Spanish for “liberty,” since he was rescued on Independence Day. Following an investigation the farmer and breeder was tried and convicted. Now a year later, Libre is a lively, healthy dog who’s fight to survive inspires countless animal welfare organizations, advocates, and animal lovers to continue to demand change. 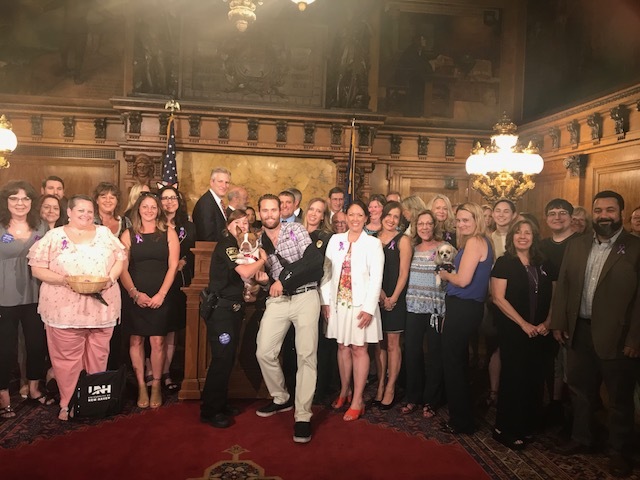 Karel Minor, CEO and President of Humane Pennsylvania highlited that Humane Pennsylvania played a key role in bringing forth additional improvements to the law in order to enact the most comprehensive animal protection bill in the history of the Commonwealth of Pennsylvania. 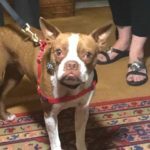 With impassioned conviction and in association with the Federated Humane Society of America, we mobilized our supporters, community members, and government officials to push for changes to the law. In alignment with the Act 10 bill, many other anti-cruelty provisions have been enacted. Over the course of the past year, the Humane Society of the United States (HSUS) and other humane organizations have partnered with Humane Police Offices, state and local police agencies, and legal authorities to provide training on Act 10. We are beginning to see the impact of the new law through these training programs, increased prosecutions, and trials for misdemeanor and felony charges, and sentences with appropriate penalties. We are now shifting gears to the Animals in Distress, also called the “Hot Cars” bill. This bill includes all distress situations such as extreme weather conditions, tangled collar, etc. This is another opportunity for us to push great legislation through to become law. Please make the call to your state senator and ask them to Vote Yes on House Bill 1216. 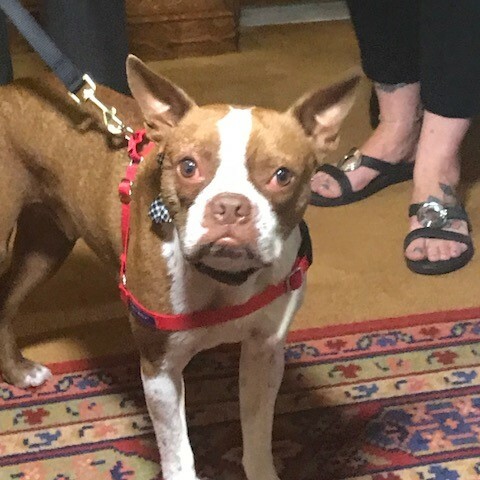 Following remarks by Governor Wolf and other advocates, Libre was celebrated by all of those in attendance and even enjoyed what we can only assume was a delicious pup cake! Learn more about Libre’s Law and the importance of the impact of House Bill 1216, the Hot Car bill, and contact your legislator today.